I read that indefinite article a/an is used for countable nouns only. Comparing the following two sentences, which of these is correct. 1. There was a sharp rise in prices. 2. There was sharp rise in prices. I am confused as both seem correct to me. I think you are getting confused as to which noun the article is referring to. In other words, "A rise". Join in and write your own page! It's easy to do. How? 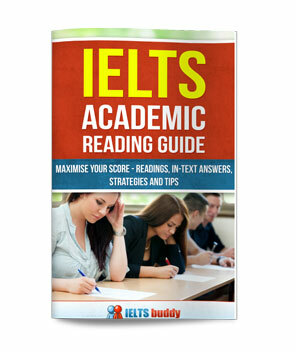 Simply click here to return to Academic Writing Task 1 Forum. Hi Thank you for your helpful information. May I ask you to describe about correct usage of (as much/many as)? For instance is it right to say: This industry consumes ground water 9 times higher as much as public supply water? This industry consumes ground water 9 times higher as much as public supply water? No, your sentence is not correct. There are quite a few errors with it, not just with "as much as". The first point is this - you need to get your comparative structures correct. You should put the number or comparative phrase after the verb in this sentence. And "higher" is wrong also. "This industry consumes 9 times more ground water than.....("public water" does not make sense here so you must mean something else)". "as much as" is used with uncountable nouns. "as many as" is used with countable nouns (so you correctly used this one). "This industry consumes as much ground water as the public supply". Again, although the grammar is now correct, this does not seem to make sense to me so I think you may be misunderstanding whichever graph you are looking at. "Spanish people spend $20 per week on fast food, which is as much as Italy". I am so confused with a practice test of a flow chart. It is talking about the process of glass recycling. 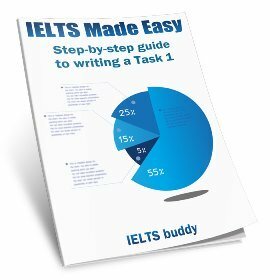 In the task, should I use GLASS in general terms without putting 'es' afterwards? If you are talking about glass generally then you would use just 'glass'. The only time you use 'glasses' is if you are talking about the type of glasses you put a drink in. For example, 'He bought several new glasses at the shop'. Or of course it is always 'glasses' if you talk about the ones you use to help you see. the graph was about the percentage of British household's car ownership. the percentage for those having two cars started at 9% then increased to around 20% and then leveled off at 22%. However, I mistakenly wrote "tailed off" instead of "leveled off". how much mark will I lose if I have explained everything else correct with high level grammar? It's not possible to answer your question. 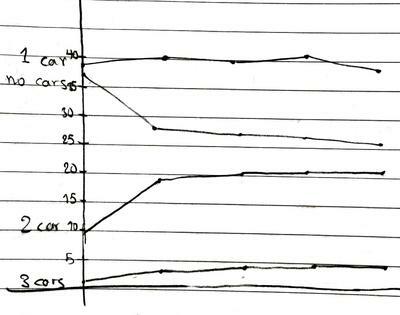 It's unlikely you made no other errors in your graph unless you are completely fluent in English, so there were probably other errors the examiner had to take account of. And on that basis, your grammar and vocabulary are marked on the basis not of one error, but the density and type of errors made throughout your answers. 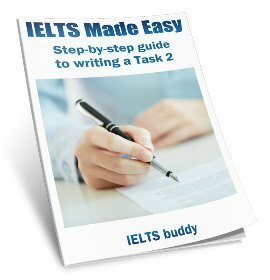 It's best if you look at the public IELTS band descriptors for the writing. 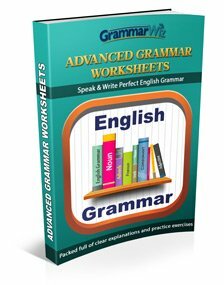 There you'll see that grammatical range and accuracy and lexical resource consist of a number of criteria. So you can't pick on error out and judge your score on that.